EURUSD is under the influence of German Trade Balance for February, German Final CPI m/m and German WPI m/m for EUR and Fed’s Budget Balance announcement for USD. It seems that EUR is still more powerful than USD. The pair is finding support at 1.1392 with resistance at 1.1424 both are above the monthly pivot point at 1.1203. The EMA of 10 is above the EMA of 50 which indicates that EUR has been stronger than USD recently. The MACD indicator is in positive territory showing the price consolidation and the RSI is above the 50 level which confirms the price growth. 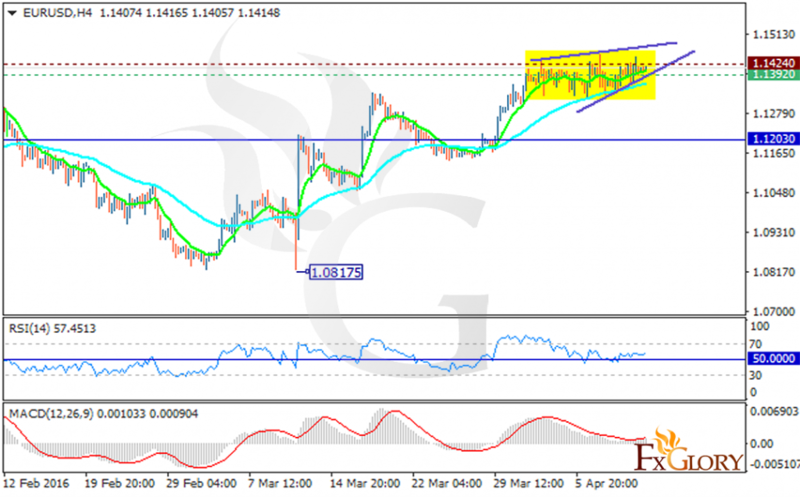 We confirm yesterday’s analysis and wait for price to reach 1.1550.